Since beginning his teaching career in 1970, Stephen Brookfield has worked in England, Canada, Australia, and the United States, teaching in a variety of college settings. He has written twelve books on adult learning, teaching, critical thinking, discussion methods and critical theory, four of which have won the Cyril O. Houle World Award for Literature in Adult Education (in 1986, 1989, 1996 and 2005). He also won the 1986 Imogene Okes Award for Outstanding Research in Adult Education. His work has been translated into German, Korean, Finnish and Chinese. In 1991, he was awarded an honorary doctor of letters degree from the University System of New Hampshire for his contributions to understanding adult learning. In 2001, he received the Leadership Award from the Association for Continuing Higher Education (ACHE) for “extraordinary contributions to the general field of continuing education on a national and international level.” In 2008, he was awarded the Morris T. Keeton Award of the Council for Adult and Experiential Learning for “significant contributions to the field of adult and experiential learning.” He currently serves on the editorial boards of educational journals in Britain, Canada and Australia, as well as in the United States. During 2002, he was a Visiting Professor at Harvard University. In 2003, he was awarded an honorary doctor of letters degree from Concordia University (St. Paul). After 10 years as a Professor of Higher and Adult Education at Columbia University in New York, he now holds the title of Distinguished University Professor at the University of St. Thomas in Minneapolis-St. Paul, Minnesota where he recently won the university’s Diversity Leadership Teaching & Research Award and also the John Ireland Presidential Award for Outstanding Achievement as a Teacher/Scholar. In 2008 he also received the Morris T. Keeton Award of the Council for Adult and Experiential Learning for his outstanding contributions to adult and experiential learning. 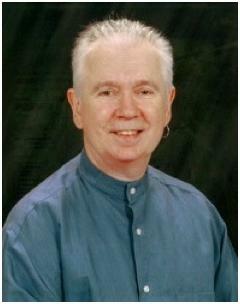 In 2009 he was inducted into the international Adult Education Hall of Fame.